When we purchased A2303D, we found that the pickup was being held in with a sheet metal screw. 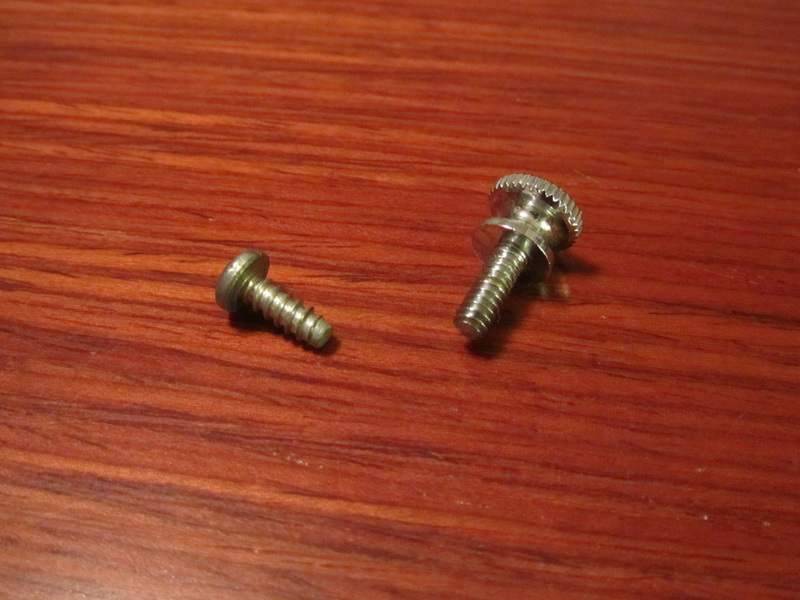 Even worse, this was a valuable ST pickup and the screw had been driven in far enough to start rounding over the threads. Ouch! 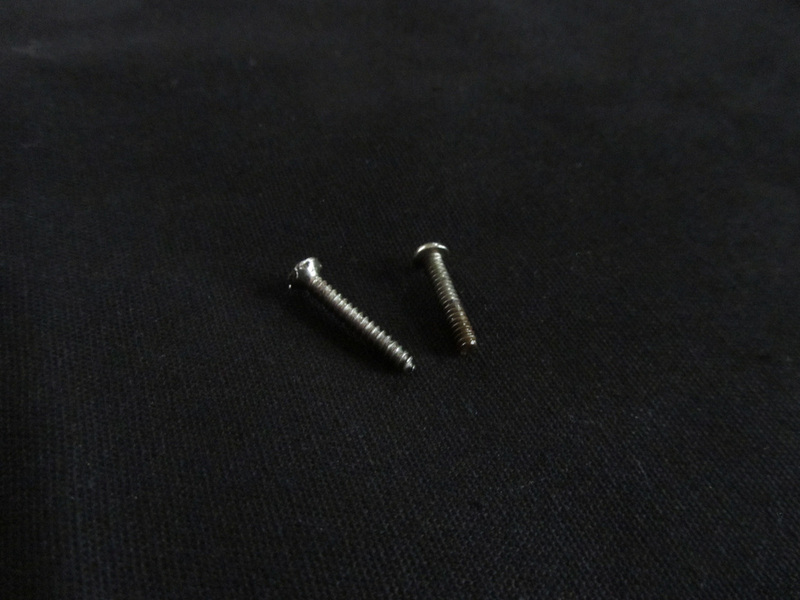 Here's a picture of the sheet metal screw and an OEM Dan Armstrong thumb screw that we managed to source for a replacement. The solution was to buy a 6-32 bottoming tap and slowly restore the threads in the ST. A bottoming tap has a blunt end and is used to restore existing threads rather than cut new ones. Guys who are old enough to remember taking metal shop in high school will remember that you should use a lubricant when cutting threads. 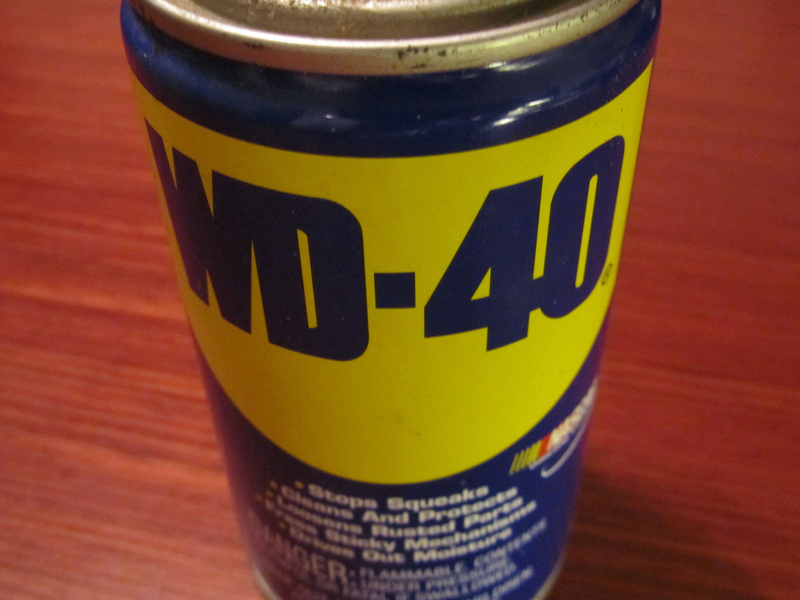 Here we used a light coating of WD-40. And now the end result. 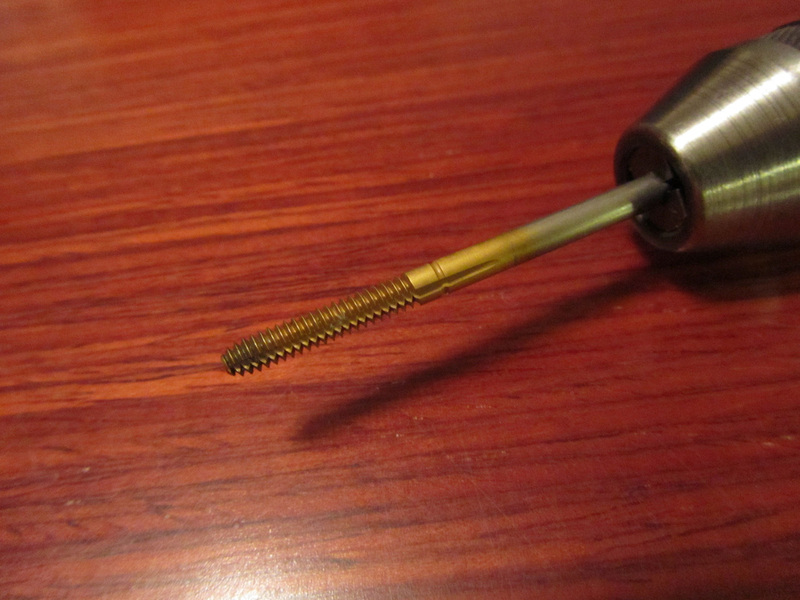 The OEM thumbscrew rides perfectly in the restored threads and we're back in business. I can't remember which guitar this came from but it really doesn't matter. The story is that I made an eBay purchase and the guitar came with about 3 strings and very little description, so I knew it could get interesting. 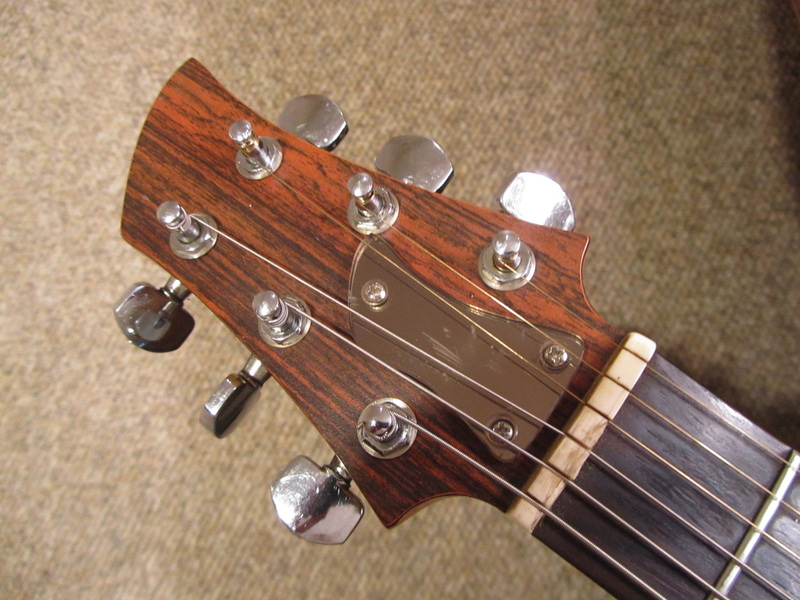 When I went to put on new strings, everything tuned up fine except for the 'D' string. Here, the knob just kept turning without any rotation of the string shaft. Hmmm...everything looks ok...or does it? 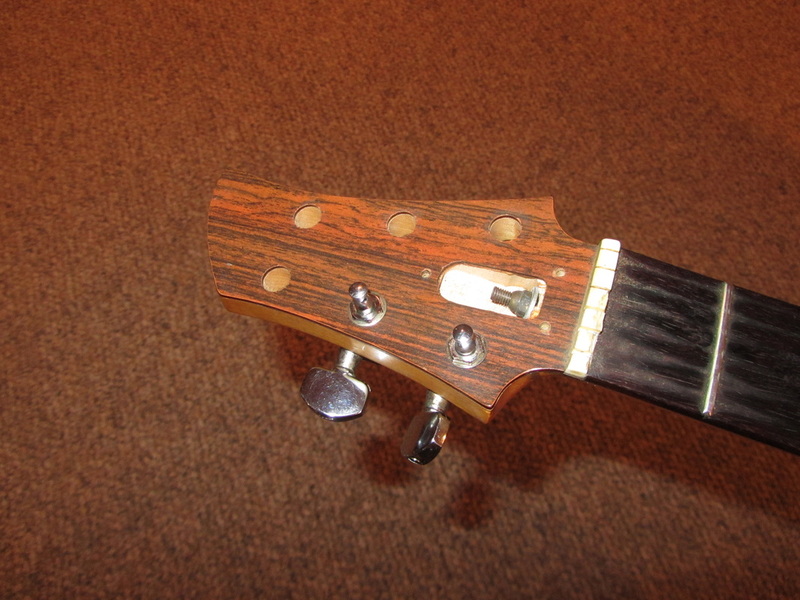 Here's the problem - someone had apparently knocked over the guitar, and the tuning knob snapped off from the input shaft. 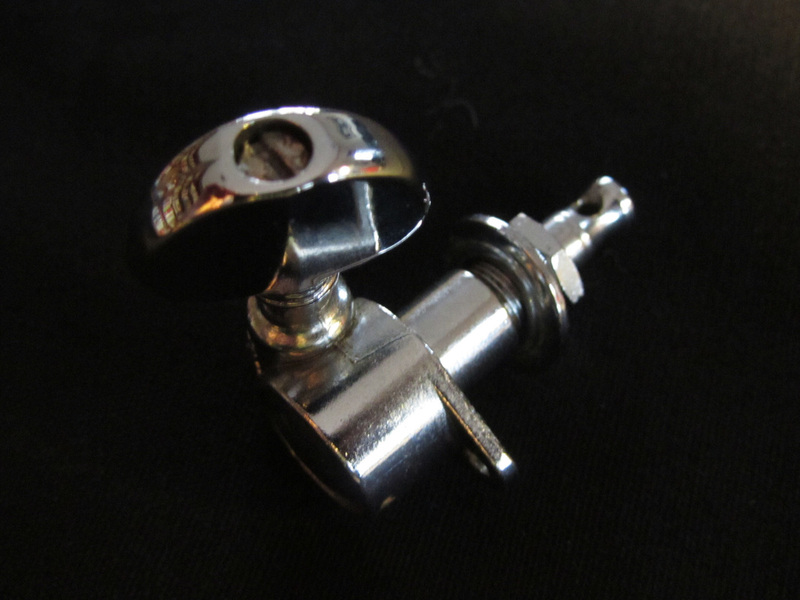 Nothing left to fit inside the tuning knob. 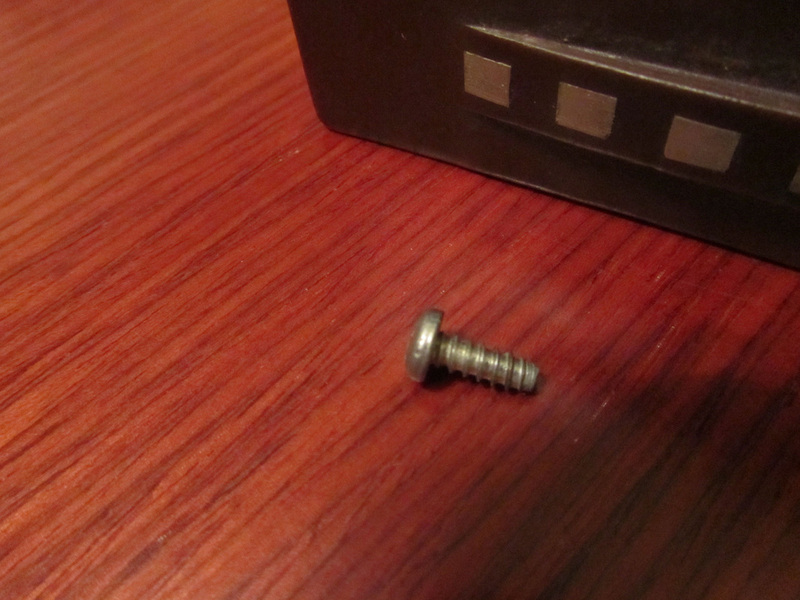 Even worse, someone decided to use a long tapered screw in place of the original machine screw. This picture shows the difference between a real Grover machine screw and what was used for show. Luckily we were able to source a replacement Grover on eBay for less than $30. 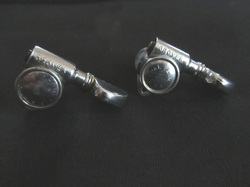 While I don't know if it's the same age as the Dan Armstrong, the patina and wear is very similar to the original tuner set. The only real difference is a slight variation in how Grover engraved the lettering on the back of the tuner. 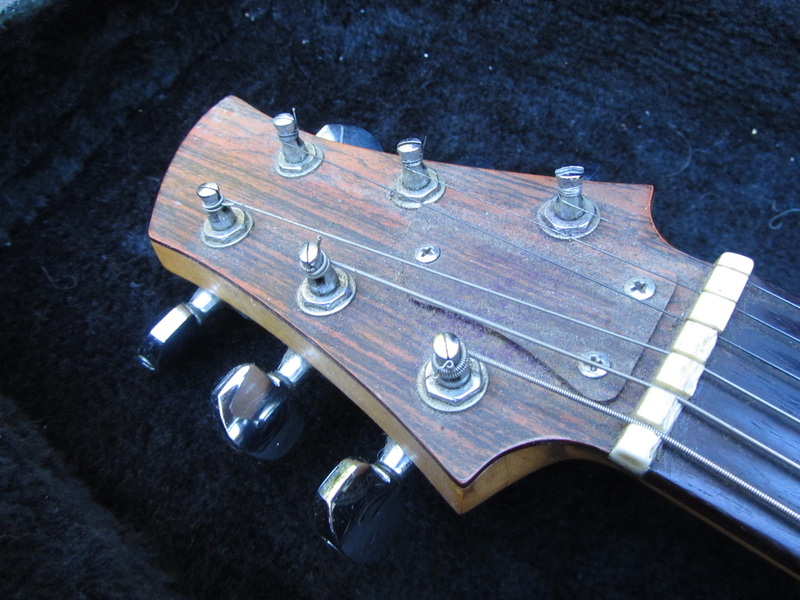 You have to look closely to see the difference though, and it's not significant enough to be an issue on what is otherwise a player-grade guitar. 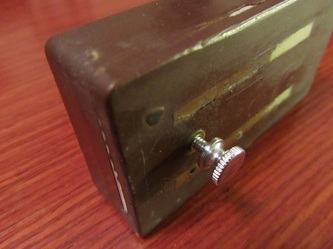 And finally the end result, a tuner that works and a very close match to the rest of the Grovers. For the sake of the next owner we put the old tuner in a ziplock bag with a note and stuck it in the accessory compartment of the case. I purchased A1332D in an Ebay sale about a year ago (November 2013). 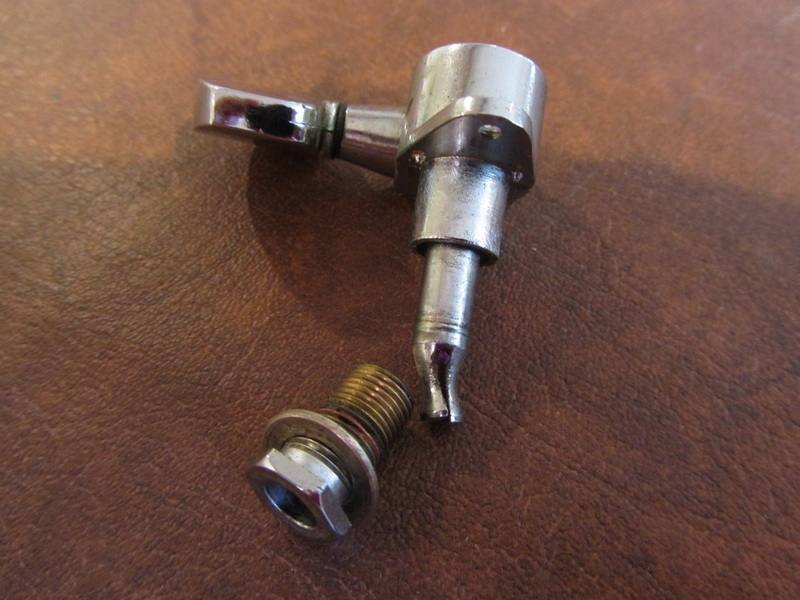 When it arrived, I discovered that the tuner posts were all bent. Even worse, these are the hard-to-find Schaller tuners with slots in the top rather than the more common type with a hole through the post. 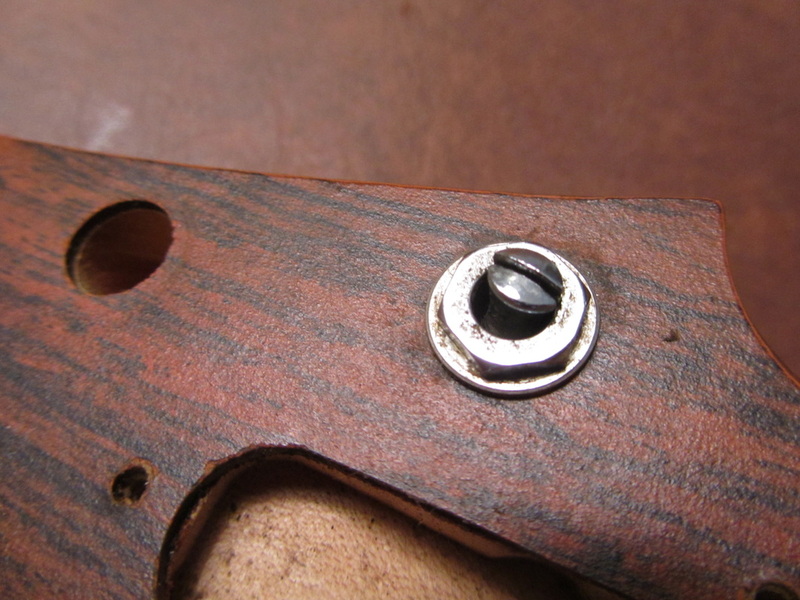 Apparently a prior owner had decided to close up the slots by squeezing them together with channel locks or something. He must have been pretty aggressive while doing this and a number of the tuning posts were leaning at funny angles, which made tuning a challenge. 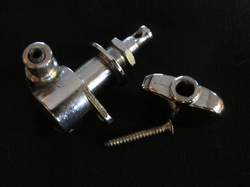 To his credit, the Ebay seller refunded me $50 on the sale and I was able to source a complete set of vintage Schaller machines for replacement. We've seen these sets offered as high as $200, but if you're patient you can find them for $50. 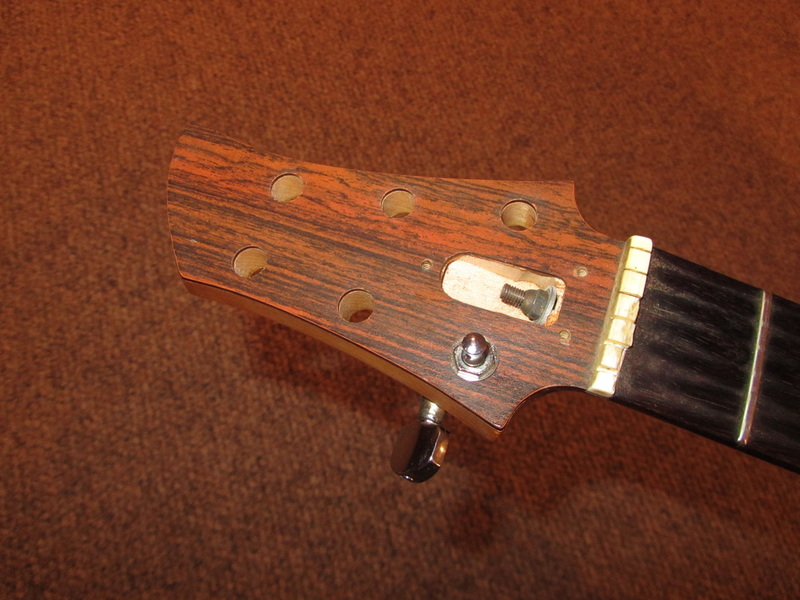 Here's a shot of the partially disassembled headstock. 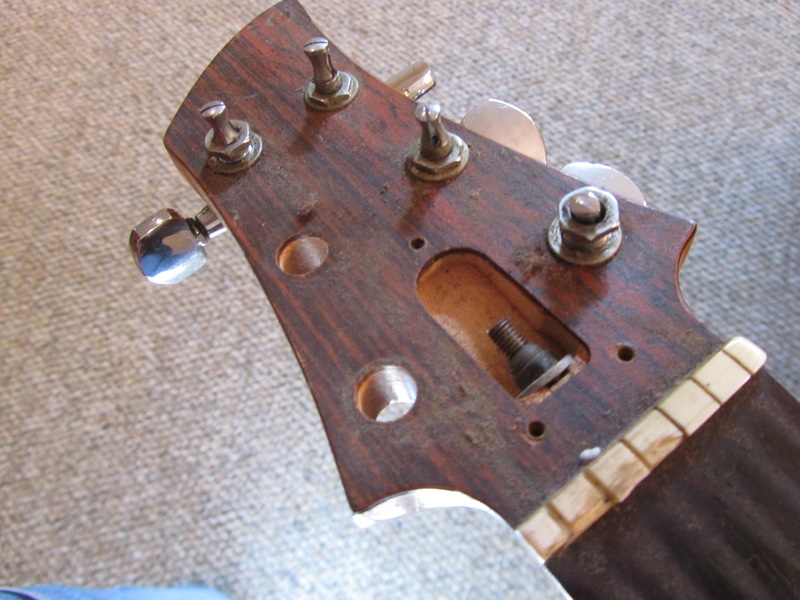 If you look at the tuner for the high E string, you can see that the post is bent to such a degree that the threaded barrel doesn't want to slip off the shaft. 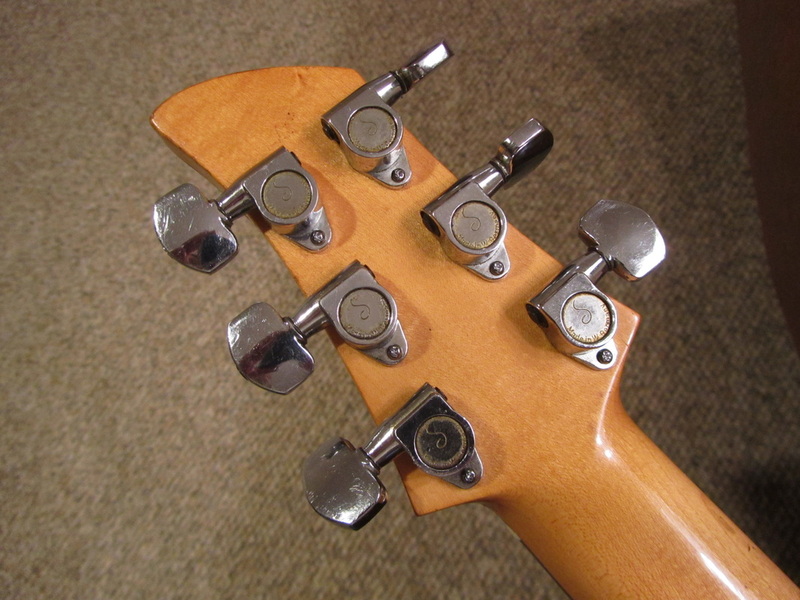 Here's a close-up of the high E string, which gives you an idea of just how far off from center this one was. Somebody must have given this a good going-over. 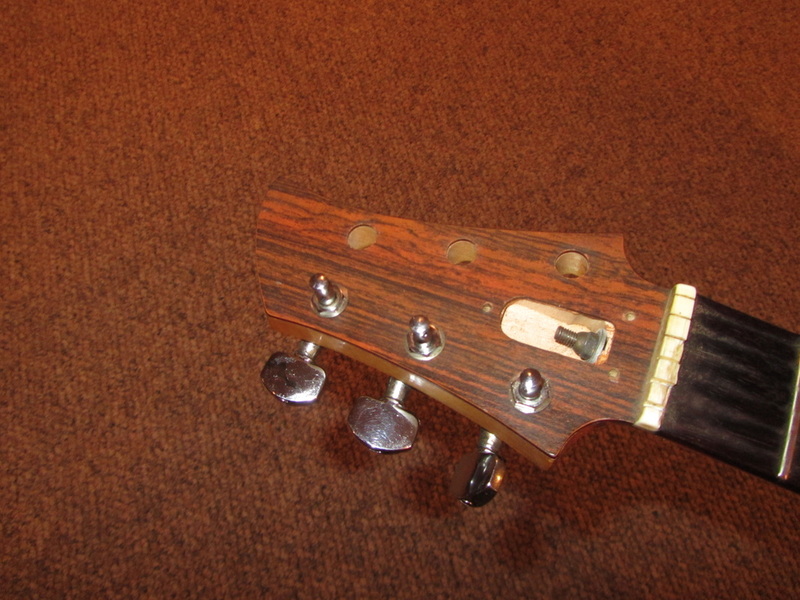 After a bit of persuasion I finally got all of the tuners removed from the headstock. 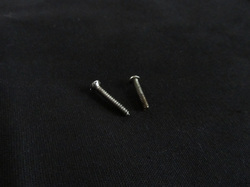 Looks like somebody just bashed the pins over with a hammer...ouch! 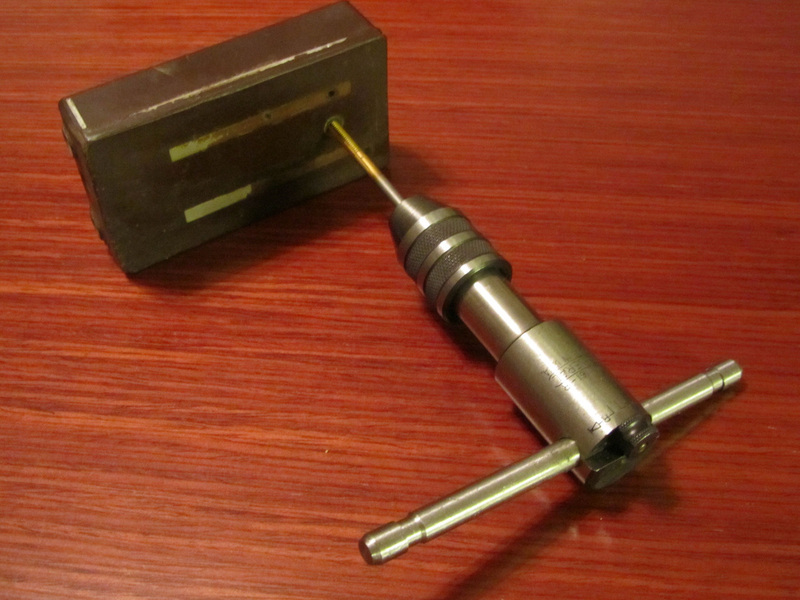 Ok, now we're ready to start inserting the new tuning gears. 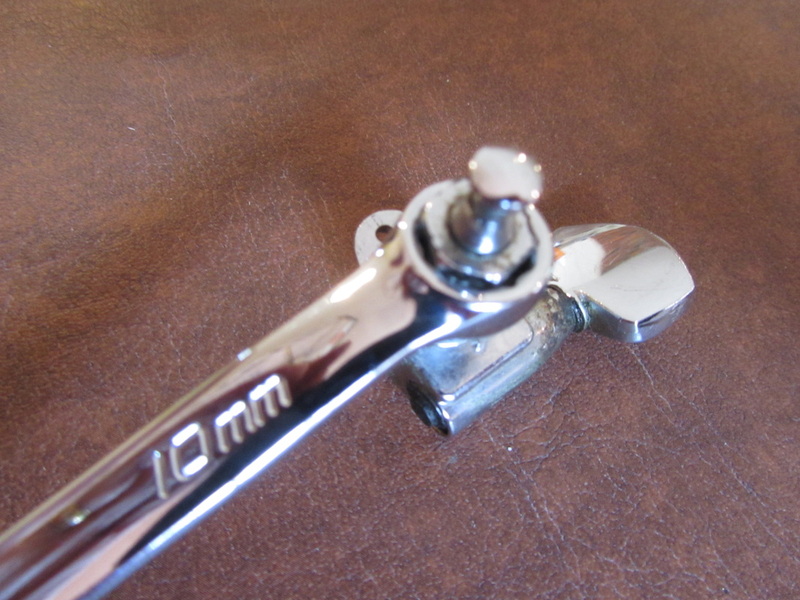 The correct wrench size for vintage Schaller tuners is 10mm. 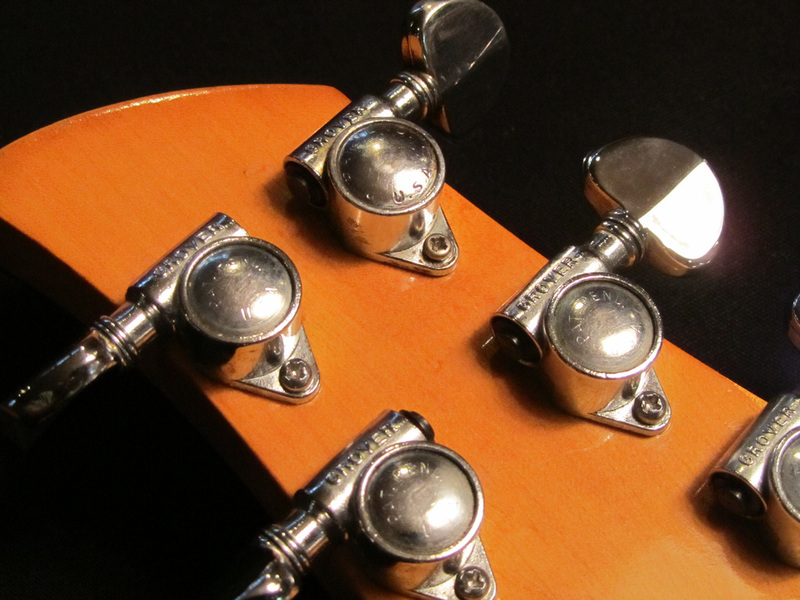 The new (vintage) tuners are a perfect fit and going in easy as 1-2-3. We sourced some new tuner screws from Allparts since we're saving all the old parts (tuners and matching screws) for a rainy day. Here's the final front and back views. 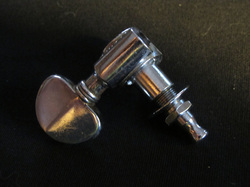 These Schaller machines are sometimes called "six-o'clock" tuners - can you see why?